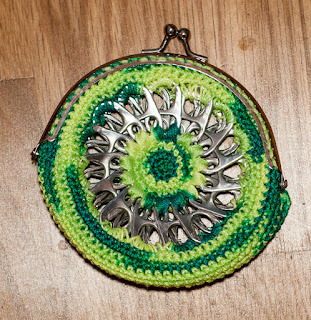 Riquita, one of the ladies at work, gave me this little purse. Its center is made from poptop lids! It's a really neat design, and I'll find a use for it. Her great aunt's friend makes them. I think it's pretty neat, and it fits a whole baseball.